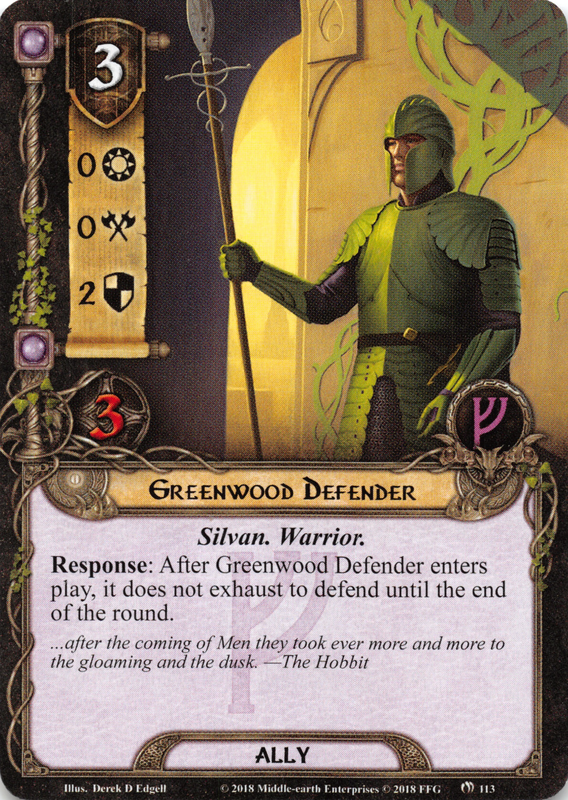 A Silvan defender that isn't thranduil, a chump, or feigned voices. Opens up Silvan deckbuilding. Nice to have more options. 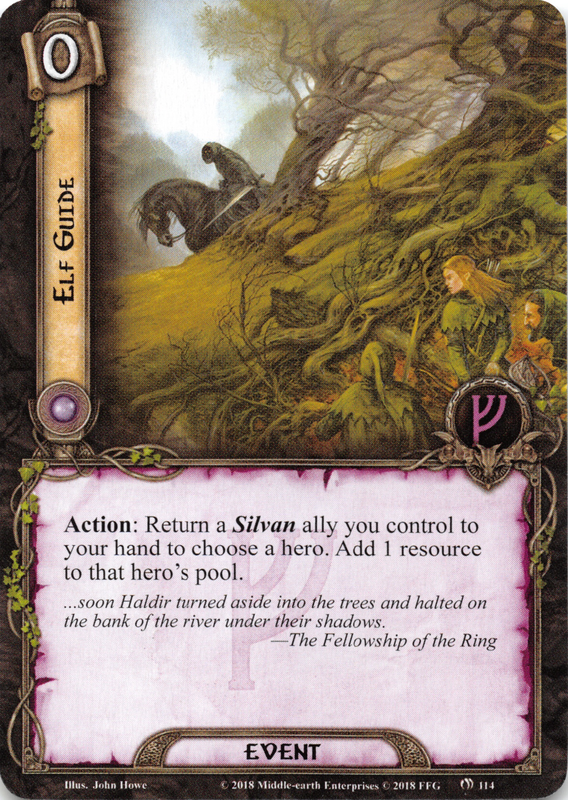 Nice HP pool for all the Silvan healing, so it's possible to make him a static Silvan. With Celeborns bonus he can show up and do some serious tanking. Could be interesting. This card is great. 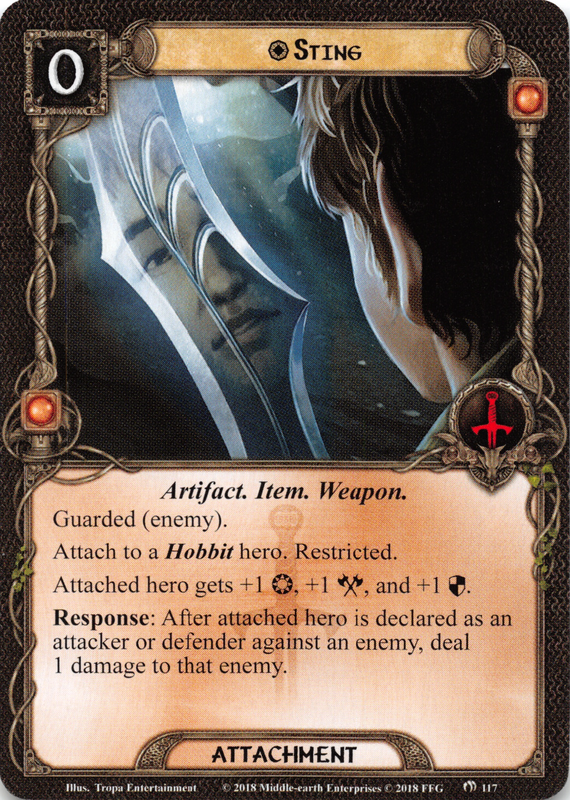 Can really help build some strong combat Hobbits. The fact that it's guarded with only enemy type allows for some decent encounter deck manipulation. If there is a terrible location or treachery waiting for you, plop down sting and send it to the encounter discard. Guarded cards in general can be really good with scrying. 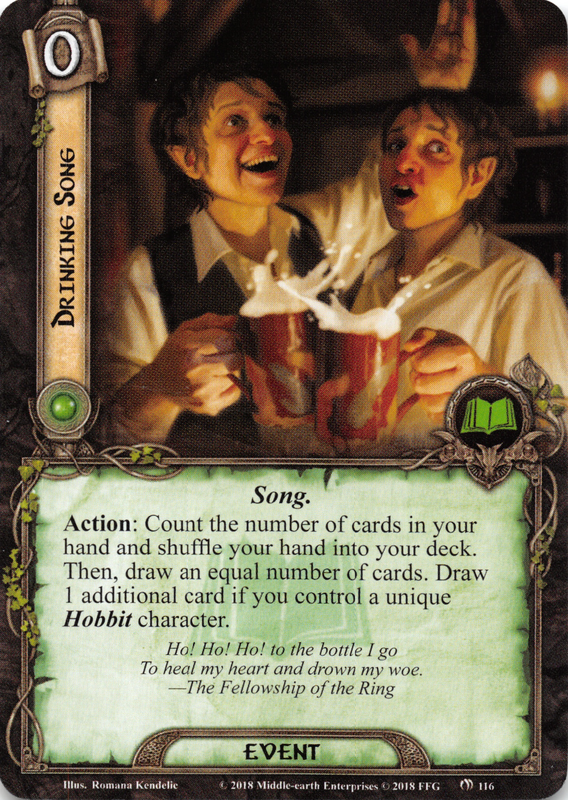 The direct damage plays great work tactics Bilbo, but with all the action advantage available to hobbits you can still do a lot of direct damage with this card and use the stats on a few hobbits. Sam is also great with Hobbit cloak, sting and his bonuses (not to mention Rosie!) he can be a beefy direct damage tank as well. Frodo works, Tom Cotton, even Fatty. Bilbo and Sam are best though.